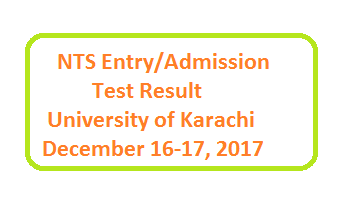 NTS has announced the admission / entry test result. These entry tests were organized on December 16 and December 17, 2017. Write Your Roll Number / CNIC to Receive Result Online.